In stores and online January 7, 2014, wherever books are sold, worldwide. International on-sale dates vary. "This is a unique and inspiring story—a womans shamanic adventures in other worlds over ten years, narrated and recorded as they happened. By narrating her experiences while in those realms, the anonymous Ema offers the reader the opportunity to be with her step by step as her magical odyssey unfolds under the listening ear of Sandra Harner, her experienced shamanic counselor. What is Emas odyssey? It could be called the heroines journey, remembering Joseph Campbells the heros journey. But recording such an experience as it happened is probably not something he ever envisioned. With this book, we enter someones evolving spiritual life as never before, a life of surprises, poetry, eloquence, and love. This is myth in the making." Follow the fantastic shamanic journeys of one woman as she explores otherworldly realms, encountering power animals and teachers who provide her with life-changing guidance and healing. Ema bravely decides to expand her self-knowledge by embarking on a spiritual adventure with author Sandra Harner initially leading her through sessions of Harner Shamanic Counseling. By the end of her sessions with Harner, Ema has discovered her own innate ability to find answers to pervasive personal questions, overcome inhibitory fears, and acquire self-confidence and wisdom. Emas sixty-four journeys are shared with us here, thanks to taped recordings of her simultaneous narration. In addition to serving as an invaluable resource for students and practitioners of shamanism, psychology, and alternative modalities of therapy, Emas Odyssey enchants us with its lyrical poetry and unique wisdom, and inspires us with its demonstration of courage, curiosity, persistence, and humility. Perhaps most important, we come away with the added assurance that we are not alone, that there are untapped resources we can access, given the right tools and trust in our own experience. 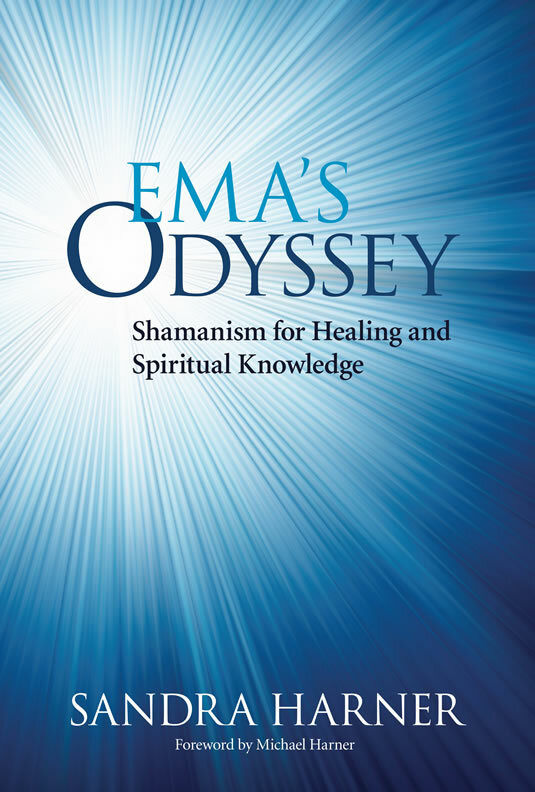 "Emas Odyssey is an invaluable source of information about non-ordinary realities that should not be missing in the library of any spiritual seeker." "A beautiful and remarkable account. It reminds us that wisdom and mystery are so close, and like shamans of old, we can journey there too."